Savannah Brewfest – Ep. 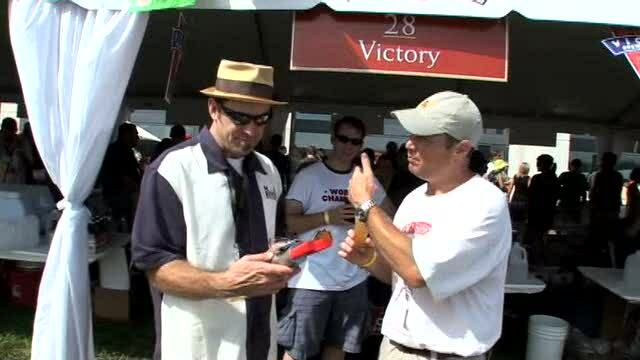 70 | Beer America TV - Craft Beer in Motion! The first annual Savannah Craft Brewfest took place Labor Day of 2008, and it was a hugely successful event – remember folks, we’re in Savannah, GA, things get here a little slower then the rest of the country. Regardless, it was so successful they’re doing it again this year on September 4th and 5th, 2009 – Yep you guessed it, Labor Day weekend, so if you’re in the area please come by. This years event includes many extras, for instance, the Westin Savannah Harbor Golf Resort & Spa will be hosting several other activities including: a Craft Brew Golf Tournament, Brews ‘n Booms Fireworks and Dessert Display, a Brew Master Lecture and a CraftBeer Brunch. Beer-Inspired Spa treatments will be offered throughout the weekend as well. For more info, go to www.SavannahCraftBrewfest.com. Man, that’s so awesome to see that craft brewing has so many fans! You know that there are 5-10 people at home who love craft beer for every 1 at the festival, too! Did I hear Skynyrd in the background at the end there? No!! Say it ain’t so! I did not see you guys actually sample the spitoon, did I? “Gag me with a spoon” someone once said. Dude! Just daring to do it was enough! Yuk. Another great episode. Wish I could make it to the SCBF but just gopt back from honeymoon. Traveled to Full Sail Brewery,Deschutes Brewery and many local brewpubs. Any wonder I married this girl? Anyway great job guys and a shout out to Ray at Full Sail. Andrew, great thoughts, thanks for sharing! Steve, say it IS so, yes we did drink out of the swill pot – once again, when at these things, MODERATION is the best advice! Keith, you’re a lucky man, hope you had a great honeymoon. AAAAAh aaah aaaah gag gag. “…and a good time was had by all.” Great fun.